Who knew your worn out jeans could look so good? 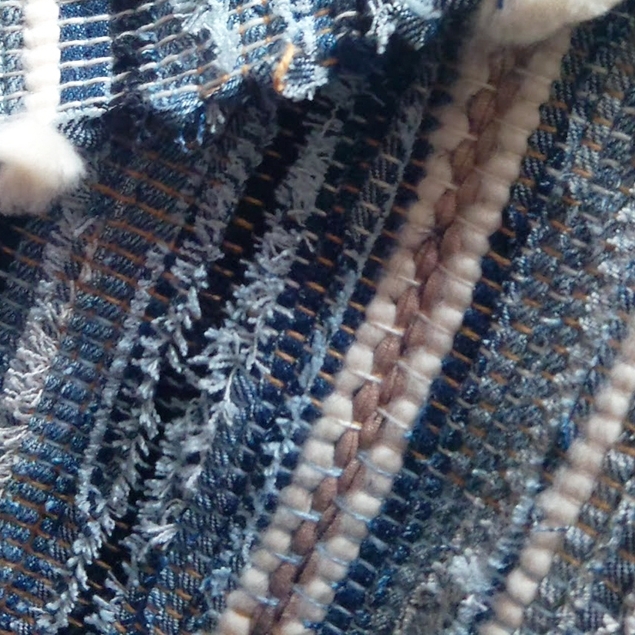 [right[ Deborah Livingston-Lowe of Upper Canada Weaving sets up her warps and using the denim strips [above] as her cloth foundation for the weft, along with a selection of our color-grown cotton sliver and cotton yarns. creates an intricate oceanscape of blues. 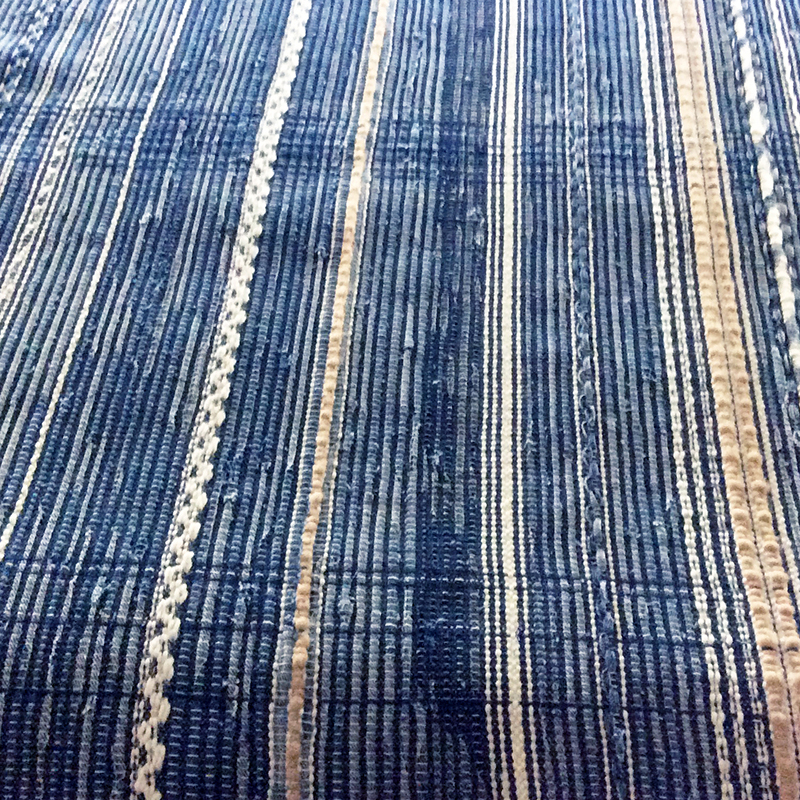 The beautiful textures and intricate detail Deborah applies to every woven piece makes this one of our most thoughtful and unique textiles that wholly represents North American people and their denim. It all begins with individuals in North America who have worn out their jeans beyond repair. Instead of throwing your ripped through, stained or worn away jeans, we ask that you give them a wash, and send them to us. They still have life in them and can be transformed into a beautiful new textile for our garments! We are happy to reimurburse shipping costs. Please email Info@PeggySueCollection.com for further instructions on how to DONATE YOUR DENIM or see our form below for direct inquiries. 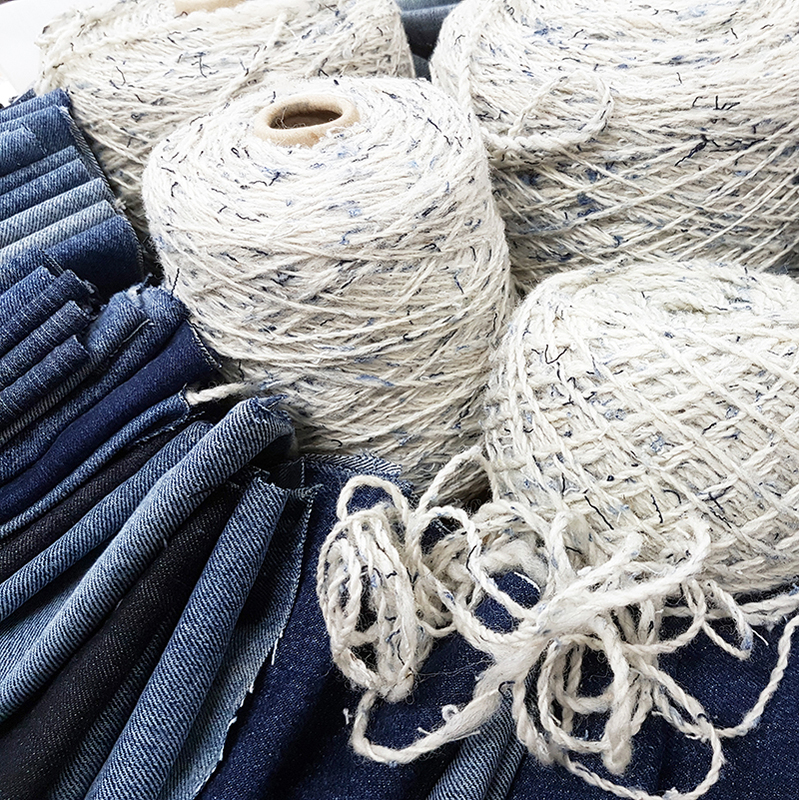 [above] Our denim rectangles are then sorted by fabric content and color and cut into thin strips for our hand weaver to re-weave into incredible one-of-a-kind textiles. [left] The leftover that were cut away to make regular rectangular panels are blended together and chopped up into tiny fibrous pieces for their next stage of processing. Our hand-woven, upcycled denim panels are then strategically incorporated into our outterwear garments [below] so that each panel is cut as little as possible in order to preserve the longevity and integrity of this heritage textile. 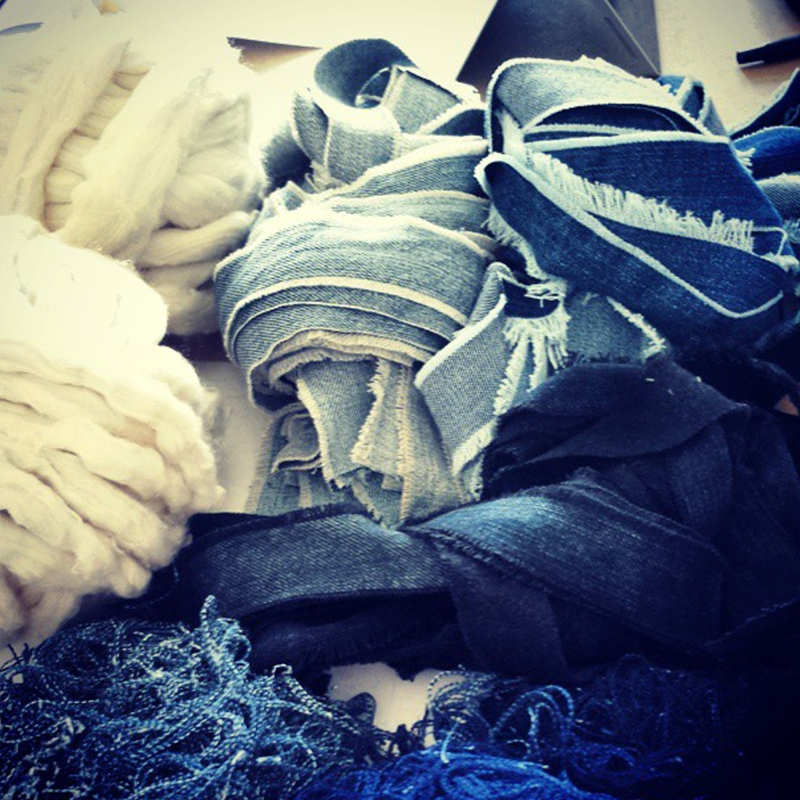 The fibrous pieces that were cut from the irregular scraps are blended into our white wool yarns. This creates a wonderfully unique yarn with beautiful monochromatic shading and eyelashing. Stay tuned as we create our first selection of sweaters with it. And finally, for our artisans, we distribute our tools belts made from the waistband and back pockets from each pair of jeans. So many pockets, so many possibilities! 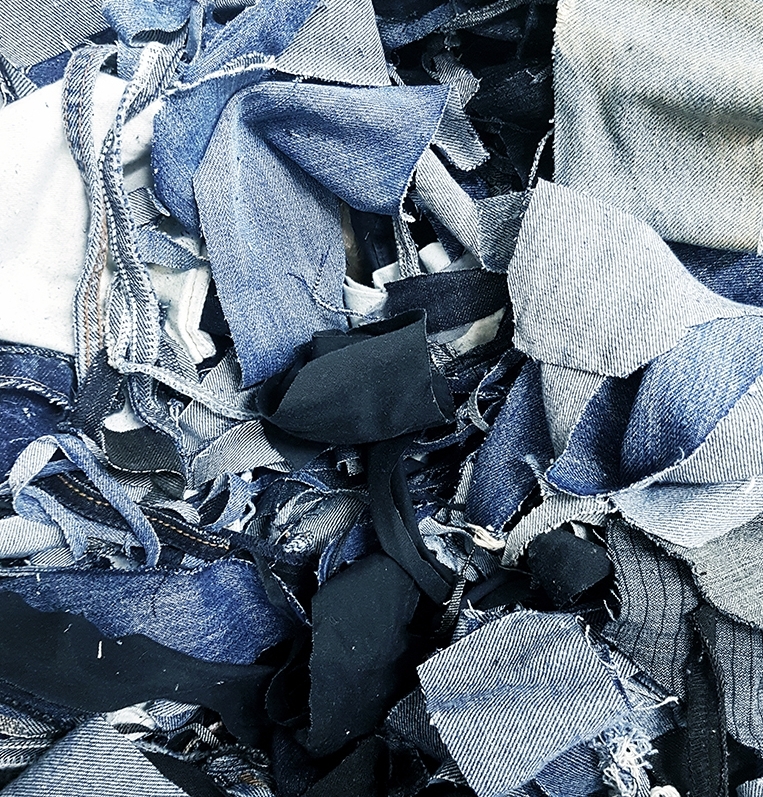 To all those who have already or are planning to donate your worn out denim, we thank you for your dedication to reducing global textile waste. 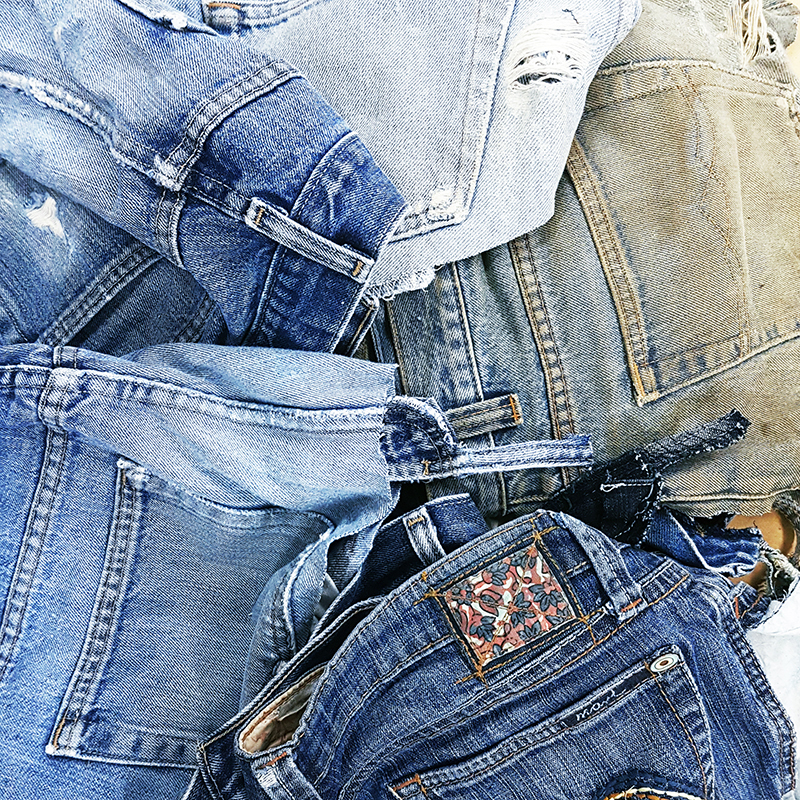 DONATE YOUR DENIM TODAY: Thank you for inquiring further about how to DONATE YOUR DENIM. Please let us know how many pairs you have to donate and your approximate location so we can respond with the shipping instructions. We welcome questions regarding the process as well.